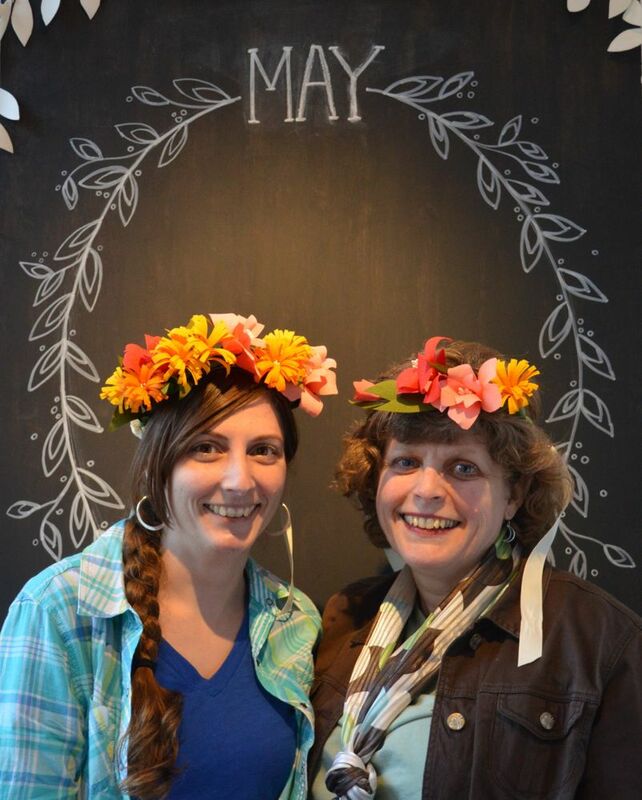 I had a beautiful Spring weekend bookended by paper flowers! 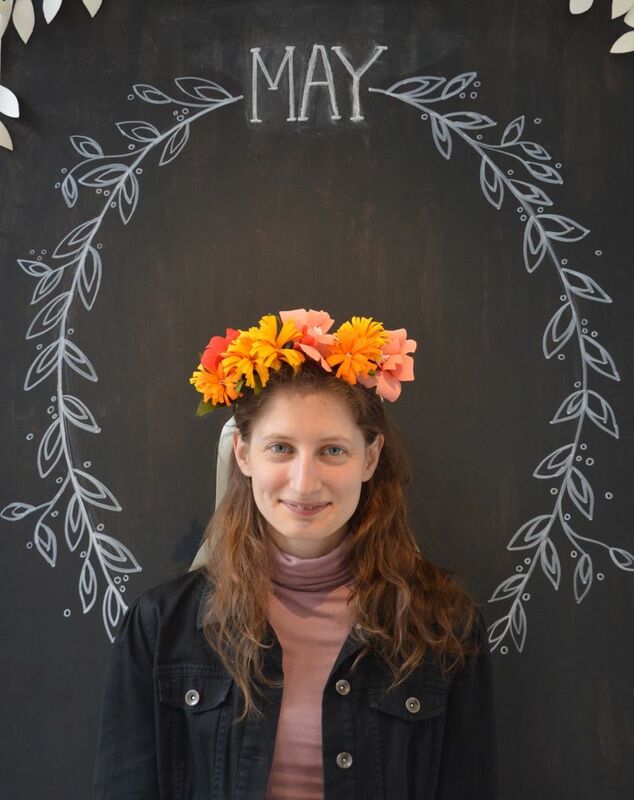 On Friday, I opened my studio doors to the public and invited folks to come see my studio, wear a paper floral crown, and get their photo taken in front of a hand drawn backdrop. It was like a soft little introduction to my business while the street outside bustled with food trucks in the park. Then last night the Fort Orange General Store hosted my first workshop where I showed attendees how to make a giant paper rose. My mish mash of photos don't do it justice. It was so lovely to be in a room surrounded by many giant blooms being assembled at once.